The Knight-Hennessy program offers a select group of students from around the world full funding to pursue a graduate degree at Stanford University. With 69 recipients from more than 4,400 applications, the organizers call it the largest fully endowed scholars program in the world. Cahan, who studied both business and biochemistry at U-M, has one year remaining in an MD program at NYU. 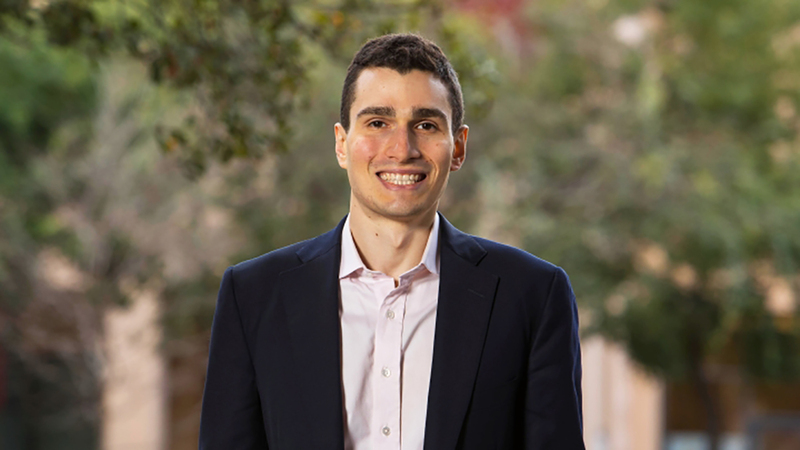 He will be taking a break from those studies to join the Knight-Hennessy Scholars while pursuing a Master of Science in Health Policy at the Stanford School of Medicine. While at U-M and Michigan Ross, Cahan was a Fulbright International Summer Institute Scholar and Angell Scholar. He’s been featured in several scientific journals, publications, and mass media outlets including Scientific American, Forbes, Business Insider, Nature, TechCrunch, PBS, and more. He recently told the Michigan Daily what he was most looking forward to during his studies in the scholars program. Congratulations to Cahan and Go Blue!